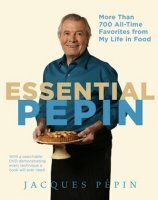 Jacques Pepin - one of the most famous American and internationally recognized chefs, presenters and authors of books about cooking culinary delights. 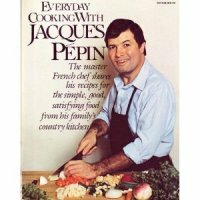 Jacques Pepin was born December 18, 1935 the second in a family of three sons in the Bourg-en-Bresse near Lyon in France. After the Second World War, his parents owned a restaurant Le Pelican, which began to emerge, and his love for food and where Pepin at the age of 12 years old began to learn to cook, at age 13 he was a disciple in the Grand Hotel de L'Europe in Lyon, and then I went to Paris in the 'Plaza Athenee', to perfect their art. 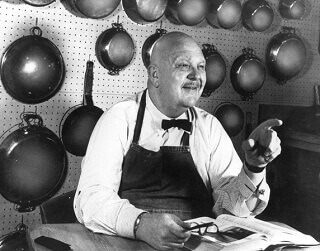 From 1956 to 1958, Jacques was a personal chef with three prime ministers of France, including a personal chef at Charles de Gaulle. In 1959, Pepin moved to the US to work in the restaurant, Le Pavillon.Nekotoroe time later, in 1961, the company has hired Jacques Howard Johnson to develop lines for the food chain restaurants, where he techeniidesyati years he worked as director of research and development of new and I began to look for mass production, marketing, food chemistry, and American food tastes. 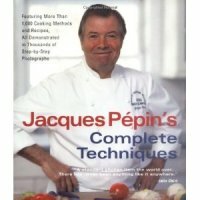 In 1970, Jacques Pepin received a bachelor's degree at the School of General Studies at Columbia University, and in 1972 received a master's degree in 18th century French poetry at Columbia University. 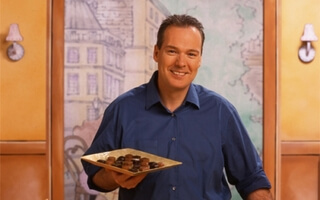 For the first time on television, Jacques Pepin came in 1999 with the TV show, consisting of 22 episodes, where he, along with the famed Julia Child led the transfer of 'Julia and Jacques Cooking at Home', earned a 2001 Daytime Emmy Award from the National Academy of Television Arts and Sciences. 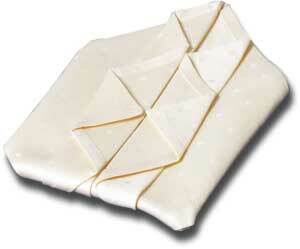 Bestsellers from the pen of Jacques Pepin. 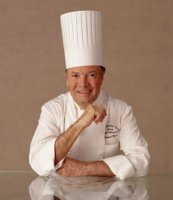 From the pen of the famous chef Jacques Pepin for his life published more than 20 books about cooking food, which have become best-sellers, including such as "The French chef prepares at (1975)," "Everyday Cooking (1982)", "The art of cooking, Vol. 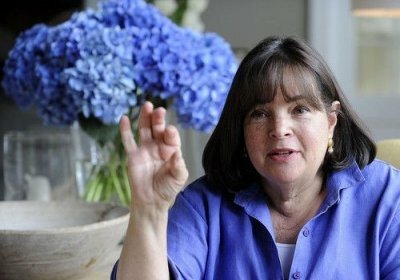 1 (1987)," "Kitchen with Claudine (1996)", "Complete Pepin (1997, reprinted in 2007)," "Encore with Claudine (1998)", "cooking at home conditions (1999), "" My Life in the Kitchen (2003) "and others. 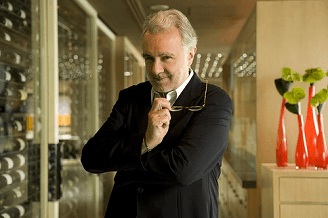 His books are the best books on the basics of the kitchen from the honored master and guru of cooking and contain everything you need to know how to good cooking, cutting the methods to create complex sauces and decoration of dishes. Everything that is written in the books you get. His approach to writing and learning easy and accessible. 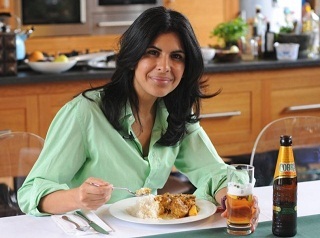 His texts are easy to read, and the recipes are painted in such a way that even the most complicated dishes, will be simple. 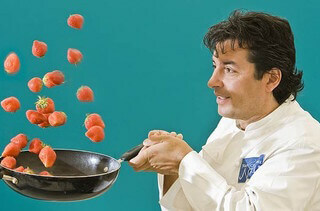 Also in 2004, under the direction of Jacques Pepin came out a movie called "Fast Food, as I see it", consisting of 26 episodes, in frames of which describes how to cook 144 dishes of salsa from tomatoes to strawberries with strawberry puree. This film was created based on materials of his show "Fast Food My Way." 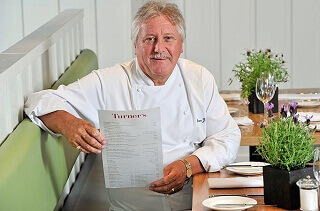 In 2008, Jacques Pepin became a judge in the fifth season of the TV show «T'op Chef». Currently cooking guru Jacques Pepin - Dean of the Institute of French cooking, which is part of the International Center for cooking in New York, Boston University teacher (Jacques conducts online lectures on the cuisine and culture of France with K.Klaflinom, a historian at Boston University) a regular contributor to the publication 'Food & Wine' and the teacher's own master class on cooking for professionals. 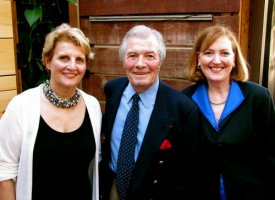 Jacques Pepin is a knight of the French three awards: 'Chevalier de L'Ordre du Merite Agricole' (1992), 'Chevalier de L'Ordre des Arts et des Lettres' (1997), 'Legion d'honneur' (2004) - the highest award what can get a French citizen. 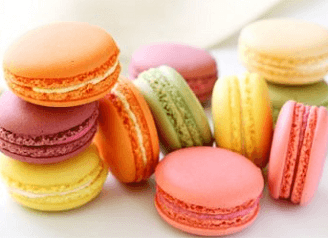 On the day of Jacques Pepin segodyashny with his wife Gloria lives in Madison, Connecticut.